Our client is the leading provider of internet payment solutions with over 100 million users, supporting 25 currencies in 190 countries. Its roots are in ecommerce, but today non-retail payments are the fastest growing part of its business. Our client has, in part, accomplished this diversification in its business through building a strategic cloud partner ecosystem. A major Service Provider of Infrastructure as a Service (IaaS), had formed an alliance with a Computer Systems Company to deliver a hosted private cloud solution with a unique feature for bursting peak workloads to the public cloud. The joint offer was a best-of-breed, hosted cloud environment that was elastic, providing enterprise-quality IaaS that dynamically shrinks or scales to meet an enterprise’s changing business requirements. At a time of economic contraction, budget cut backs, and job reductions, many organizations cut very deep into their alliance and partnering capability. Yet Cisco made the decision to maintain and even modestly increase their investment in strategic alliance partnerships and saw greater business productivity, access to new markets and new sources of revenue as a result. 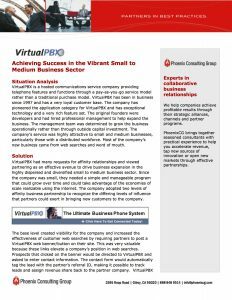 VirtualPBX had many requests for affinity relationships and viewed partnering as an effective avenue to drive business expansion in the highly dispersed and diversified small to medium business sector. Since the company was small, they needed a simple and manageable program that could grow over time and could take advantage of the economies of scale realizable using the internet. 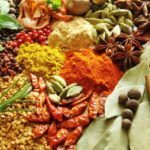 The company adopted two levels of affinity business partnership to recognize the differing levels of influence that partners could exert in bringing new customers to the company. An enterprise software company had recently acquired what is known in the industry as a “tornado” product, one with exponential revenue growth. While there was sufficient sales coverage in the United States, there were only two sales people in Europe who were knowledgeable about the product. 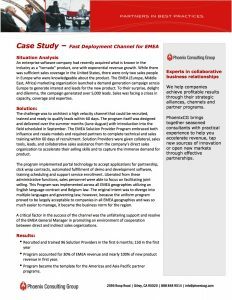 The EMEA (Europe, Middle East, Africa) marketing organization launched a demand generation campaign across Europe to generate interest and leads for the new product. To their surprise, delight and dilemma, the campaign generated over 5,000 leads. Sales was facing a crises in capacity, coverage and expertise. 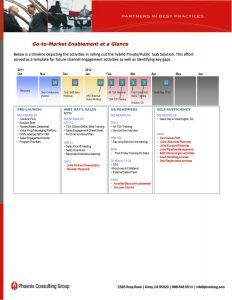 Company had a fragmented partner strategy and organizational structure. Organizations with functional responsibility for partners resided in many different areas of the companies. 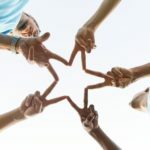 There was no central organization to field inquiries for partners especially technology alliance partners who had no assigned partner management. When VARBusiness Magazine conducted their Annual Report Card Survey of partners, it was not surprising that the company’s partner program ranked eighth out of eight candidates in the industry category. In 2009 the tables turned. 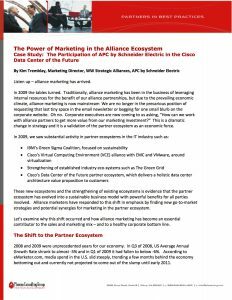 Traditionally, alliance marketing has been in the business of leveraging internal resources for the benefit of our alliance partnerships, but due to the prevailing economic climate, alliance marketing is now mainstream. We are no longer in the precarious position of requesting that last tiny space in the email newsletter or begging for one small blurb on the corporate website. Oh no. 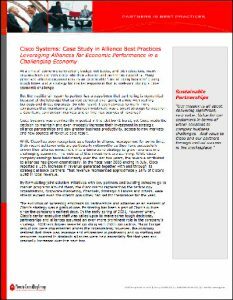 Corporate executives are now coming to us asking, “How can we work with alliance partners to get more value from our marketing investment?” This is a dramatic change in strategy and it is a validation of the partner ecosystem as an economic force.